Two-time Pro Bowler threw for more than 300 yards eight times at Giants Stadium. Leading rushers in franchise history. Two of the most beloved players to wear a Jets uniform. Only four Jets have more catches. These two have 218 starts with the Jets between them. One past, one present stalwart of the offensive line. Six Pro Bowls as a Jet, still going strong in Tennessee. No one has played more games as a Jet. These two have a combined 142 sacks. Could play multiple positions, we’ll put him in the middle. Abraham not technically a linebacker, but he’s our pass-rush specialist. Clifton’s 204 games played is third in team history. Try throwing on these two. Kerry Rhodes is close, but McMillan gets the edge with two Pro Bowls. 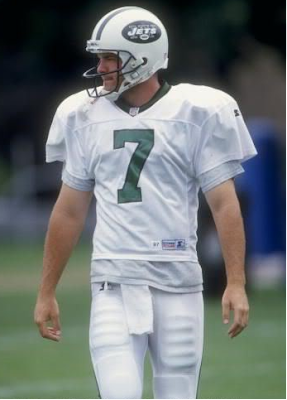 All-Pro in 1999 when he also was the emergency quarterback. Four kickoff returns for a touchdown already a franchise record.